When you think of things to do in Barcelona, your days are going to be packed. There is no end to the activities that you will enjoy as you run around the city while the sun’s out. But if you only experience it during the day, you’re going to miss half of the fun. Wait, before you get worried that this is just an article about the clubs and bars of Barcelona, you’re wrong. 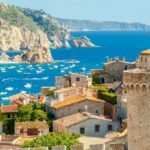 While the Costa Brava does boast of some of the world’s best nightlife, it doesn’t just revolve around the clubs. We’ll feature some of the best night spots, and sites to visit at night. Barcelona comes alive when the sun goes down, so make sure you’re out there to enjoy it all. Too many clubs just feel the same the world over, with loud pumping music and plenty of dancing. This club seems to capture the heart of Barcelona with its passion for salsa dancing. 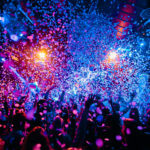 Yes, the club is clearly Spanish to its core with the entire facility dedicated to providing patrons with that classic Latin vibe. The Mojito club even offers lessons for first-timers who just want to experience what salsa dancing really feels like. You won’t find any ballroom dance moves here. This place is raw and raucous. 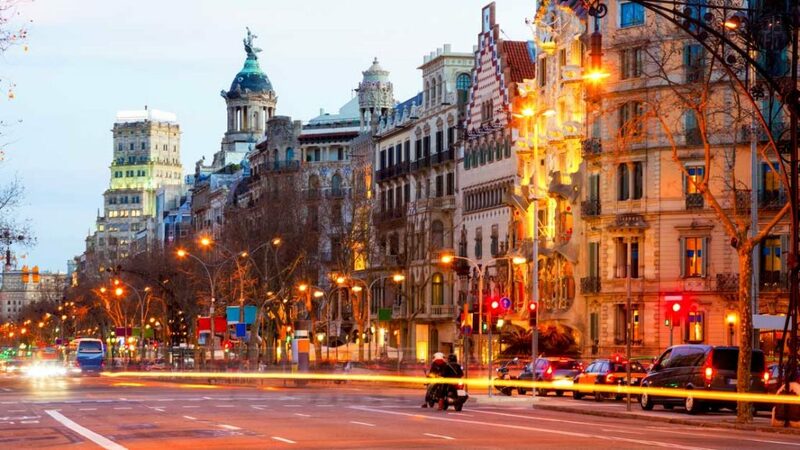 Enjoy the sensuous side of Barcelona with salsa dancing until the streetlights turn off. 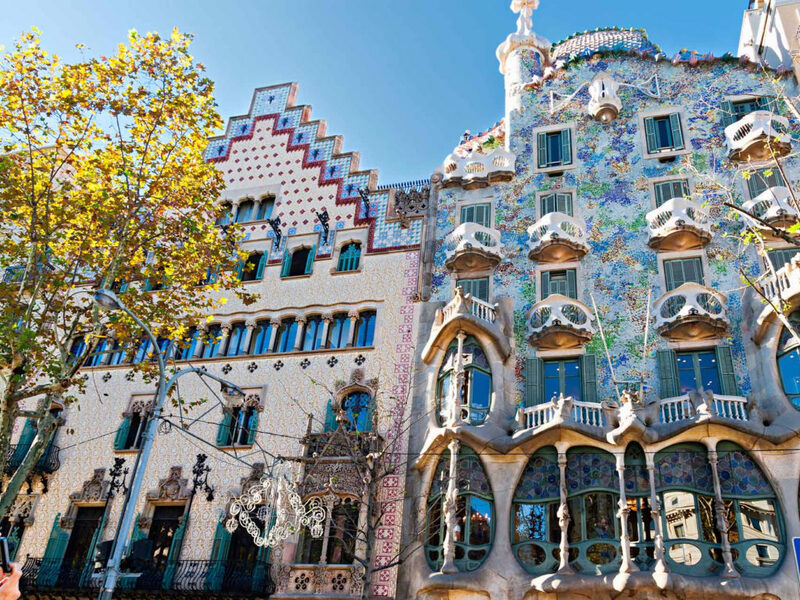 Centred in Barcelona, you’ll find a striking example of Antoni Gaudì’s artwork, the Casa Batllò. The building was redesigned by Gaudì over 100 years ago and stands today as a testament to Barcelona’s love for art and flair. But at night, join the night owls for a chance to see the building in a whole new way. During the summer, you can enjoy drinks, live music, and the company of travellers and locals alike. The rooftop is the perfect spot to relax and wind down after a hard day touring the city. Lit up and in splendour, the Casa Batllo will show you a new side that you didn’t see before. Enjoy the views and the atmosphere in this unique location. It seems that on these hot summer nights, you’d hate to be stuck inside some dimly-lit club. That’s why La Terrrazza has established a new way to party at night. The name literally means “the city on the hill” and it’s situated on the slope of the mountain of Montjuic. 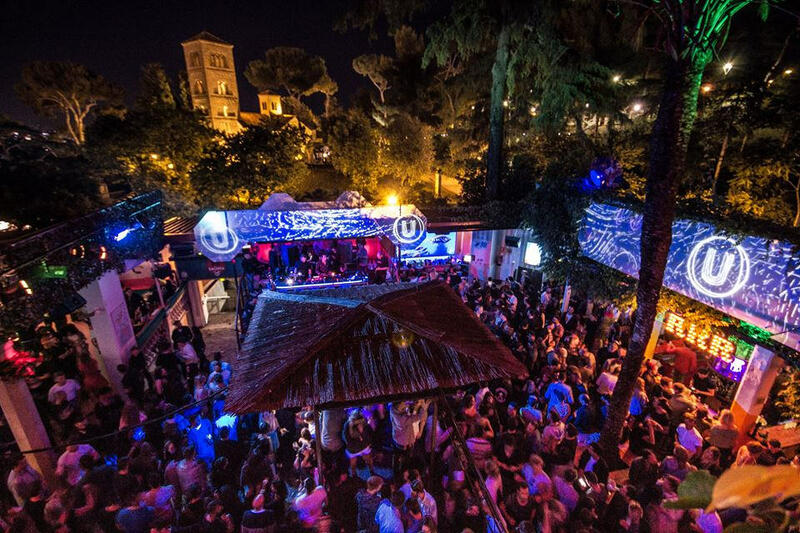 This open-air club is a one-of-a-kind experience to those who aren’t ready to be indoors just yet. It’s certainly one of the hottest spots in the city to enjoy the music and atmosphere. You can overlook the stunning sights as you bump up against the youth of the city enjoying themselves all night. The décor is blended in with the historic part of the town, so it feels like a natural extension of this side of the city. 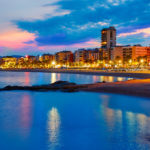 Come experience why Barcelona seems to grab hold of those who get a taste of the fun side. Why does that name sound familiar? It is probably because you already spent time in the “Spanish Village” of the city earlier that morning. This is a must-visit location for all tourists to Barcelona. The old-world charm attracts hundreds and thousands of visitors every day. But you’ve only seen it during the day. At night, the Poble Espanyol plays host to a different type of attraction. During the summer, you’ll always find a live performance of some sort that plays to the crowds that come back when the sun goes down. There are live musicians, expos, plays, performance pieces, and of course, karaoke. Come find out why this square comes alive at night with the sound of fun, music, laughter, and friendship. Barcelona knows that there is something for everyone to enjoy at night here. There are plenty of examples of nightlife locations, of stunning sights, and of places to eat. But what about those who want something a little more refined? There’s a spot for you too. The “Music in the Park” is put on by the city every year. Almost 50 performances in the city’s most stunning parks allow you to sit, listen, and enjoy some of the city’s best live artists play their pieces for you. The music suits all tastes with opera, classical, modern, and jazz artists all finding their own stage. And the best part is that it’s all free. Yes, all the performances are free for you to enjoy, Barcelona’s way of saying “welcome” and “thank you” to all of its guests. You already know that Barcelona is a city of love. Partners, Spouses, and soon-to-be lovers all experience this touch of magic when they first come to the city. And what could be more romantic than a dinner under the stars? Enjoy both the lights of the city and the lights in the skies as you eat a world-class meal presented just for you. The Fabra Observatory, one of the oldest telescopes still in use in all of Europe, hosts these evenings under the stars by highlighting the very stars that you dine under. The meal is created to align with the theme of astronomy, and you get to learn about the constellations and heavenly bodies while you enjoy a world-class meal. Be sure to book early because these tables fill up fast. If you still have energy from touring around the city during the day, you can still wander the streets of the city and explore what the perspective looks like from a different part of the day. At night, the quarter El Born is the perfect spot to see the city in a new light. There are plenty of walking tours available if you’re interested in hearing all about the history and story of this part of the city. But if you’re feeling adventurous, lose yourself in the alleys and streets that make up this colourful, creative part of the town. The medieval backstreets and quaint little squares of El born have more to them than first appears. Discover a darker, richer side of the city, and relive the past in this ancient section of Barcelona. No doubt, as you wander the streets, you’ll hear glimpses of laughter, music, and the sounds of people enjoying a wonderful meal. There’s a good chance that you’ve even walked a by a few of these lovely establishments on your travels. Maybe if you listen from your private villa, you can hear the chiringuitos of Barcelona. These little cafes are designed to provide fun, music, and great food to everybody that walks in the door. 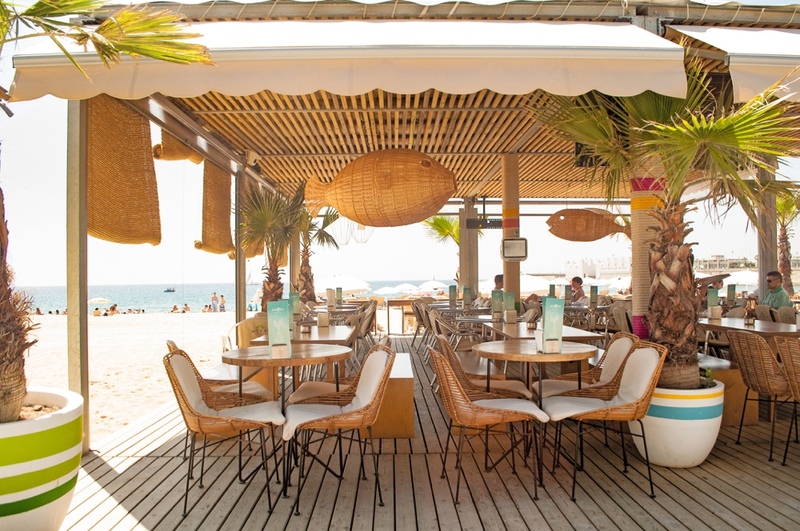 You’ll find a whole host of different chiringuitos around the city, from simple shacks overlooking the water to larger nightclubs with modern tastes. The food is always local, fresh, and very delicious. The people are warm, welcoming, and always ready to share a bottle of wine. And the experience is like no other city in the world. You don’t have to feel like 8 pm is your bedtime in Barcelona. You’ll get to see so much more of the city when you stay out past sundown. That’s when the true heart of the city shows itself to you. The dancing, the music, the fun, and the laughter are what keep people coming back all the time. Barcelona by night is almost one of the wonders of the world. Come find out for yourself.